One hundred years ago today, New York City's Triangle Shirtwaist Factory burst into flames, killing 146 garment workers and fundamentally changing the way America viewed its laborers. In the months after the blaze, dozens of workplace regulations were passed, helping to make factories much safer. The Triangle fire inspired a massive unionization push that paved the way for the development of America's middle class. 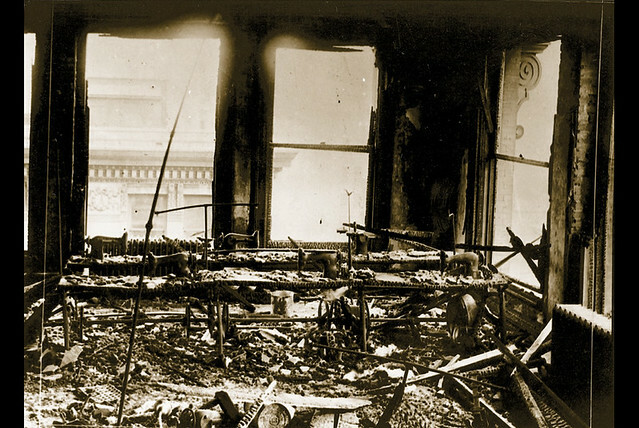 On March 25, 1911, a fire tore through the top three floors of New York's Asch Building (Washington Place and Greene Street), home of the Triangle Shirtwaist Company. On the eighth floor, where the blaze began, garment workers and their supervisors quickly filed out. Two floors up, the company's owners — Max Blanck and Isaac Harris — were notified by telephone of the fire and escaped by jumping to the roof of a nearby building. But on the ninth floor, there were no phone calls, fire alarms or other warnings. 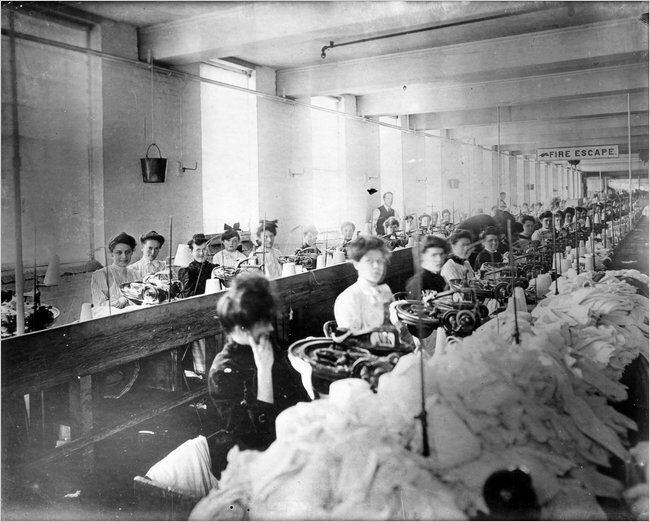 In fact, the 200 seamstresses who worked there — many of them new immigrants to America — didn't realize there was a fire until smoke began pouring in from the floor below. Within a half hour, more than half of those women were dead. In remembrance of the tragedy, a special memorial meeting was held this morning at the factory site. A fire truck ladder was raised to the sixth floor, representing the highest story firefighters could reach during the tragedy. 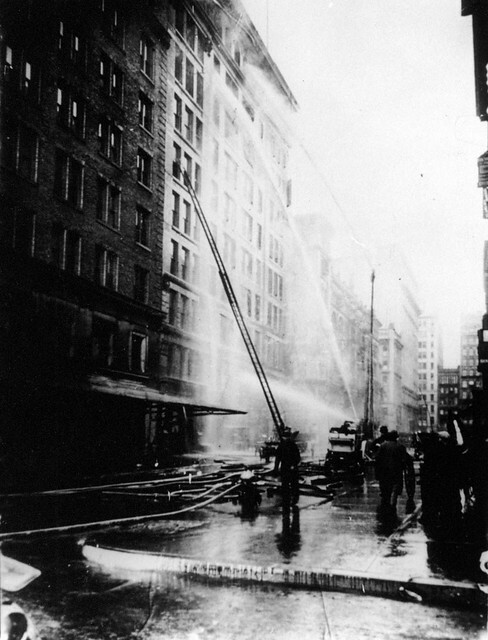 :washington post article, "what the triangle shirtwaist fire means for workers now"; wnyc article, "remembering the triangle shirtwaist fire, 100 years later"